Guests joined Morpeth Mayor Nic Best to celebrate the grand opening of McCarthy and Stone’s new Retirement Living development in the town. After a guided tour of the furnished show apartments and communal areas, Coun Best marked the opening of William Turner Court with a ceremonial ribbon cutting. He said: “It was my pleasure to officially open the show complex. Exclusively aimed at people aged 60 and over, William Turner Court features a collection of 55 one and two bedroom apartments – currently priced from £199,999 and £259,999 respectively – with only five apartments remaining. Its facilities include a homeowners’ lounge and a guest suite should homeowners have friends or relatives to stay. 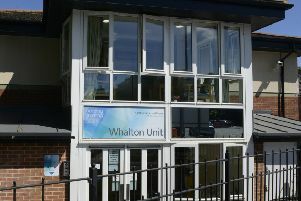 Liz Green, regional sales and marketing director at McCarthy and Stone North East, said: “We are very thankful to Coun Best for officially opening William Turner Court. For more information about William Turner Court, call McCarthy and Stone on 0800 2014739.